Pika Pika Rain Microfiber Chamois is 40 cm × 75 cm. It is larger than general chamois, so you can use it for not only car washing but also wiping. Also it can be cut to the size you want. General synthetic chamois hardens once it's dried due to its material property and we have to be careful to handle it. 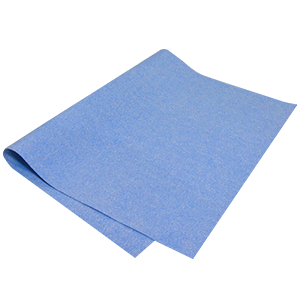 Pika Pika Rain Microfiber Chamois is made of absorbent urethane which has finely raised microfiber over the surface. It is like a tough and soft deer skin (buckskin treatment). As it has never hardened even if it's completely dried, you don’t have to soften it again by plenty of water. It is not deteriorated by repeated drying process in the long term use.